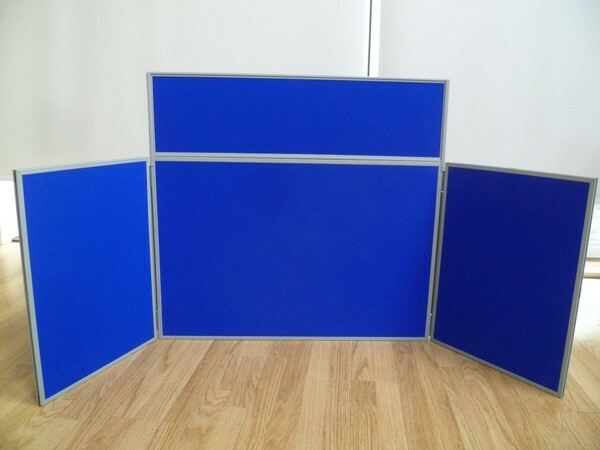 Plastic folding table top display panels in blue velcro. Each panel set comes with canvas carry bag. Still in original cardboard box - Never used.